How much does it cost to attend Autumn Aloft? The 2018 Autumn Aloft event is free to the public thanks to the generous support of event sponsors. How much is a balloon ride? Autumn Aloft does not sell balloon rides. Balloon rides are reserved for event sponsors and pilot guests. Information on sponsorships are available here. Information on Park City area commercial ride operators is available here. How do I get to Autumn Aloft? The Saturday and Sunday Main Launch events are held behind Treasure Mountain Middle School, which is located at 2530 Kearns Blvd, Park City, UT 84060. The event has arranged parking at the School District parking lots, but please remember parking is limited. 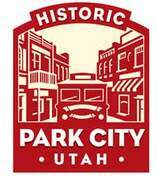 Park City residents are encouraged to take Park City's FREE public transit, walk, or bike to the event. I'm interested in vending at the event. Unlike many hot air balloon festivals, Autumn Aloft does not have a vendor village. Autumn Aloft hosts 1-2 local vendors to serve coffee and light breakfast items to event attendees. 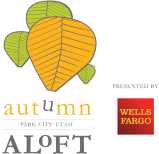 Autumn Aloft event organizers encourage event attendees to have breakfast and enjoy all Park City has to offer following the Main Launch events. ​Looking for something else? Complete the form and we'll get back to you ASAP.